Murmurations. Occupations. And a Circle at the Salt Marsh. My goodness! This year got off to a flying start, in more than one respect. The days have flown by until late at night before this girl has hit the pillow. 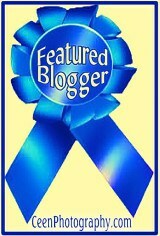 And the Kindle with interesting blog posts has hit the floor. The birds seem to have been equally busy. Like the European Starlings, performing murmurations over the bay (I only caught the tail end of it here) and occupying neighborhood roofs. 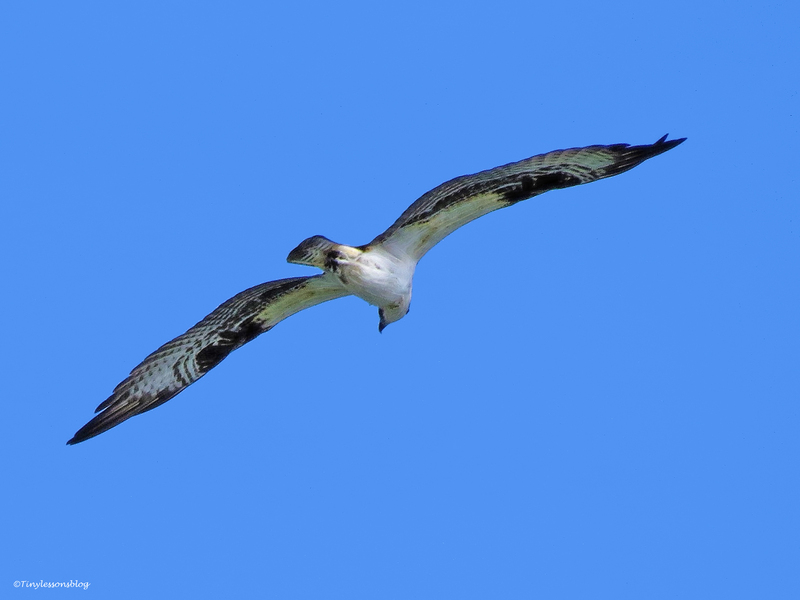 Or like this unknown handsome male, who flew repeatedly past my office window and circled over the salt marsh. He certainly made Papa Stanley keep a close eye on Mama Sandy. During the only walk I’ve managed to take in this week, on Sunday, I found Stanley sitting with his fish on a lamp-post just outside of our garden. 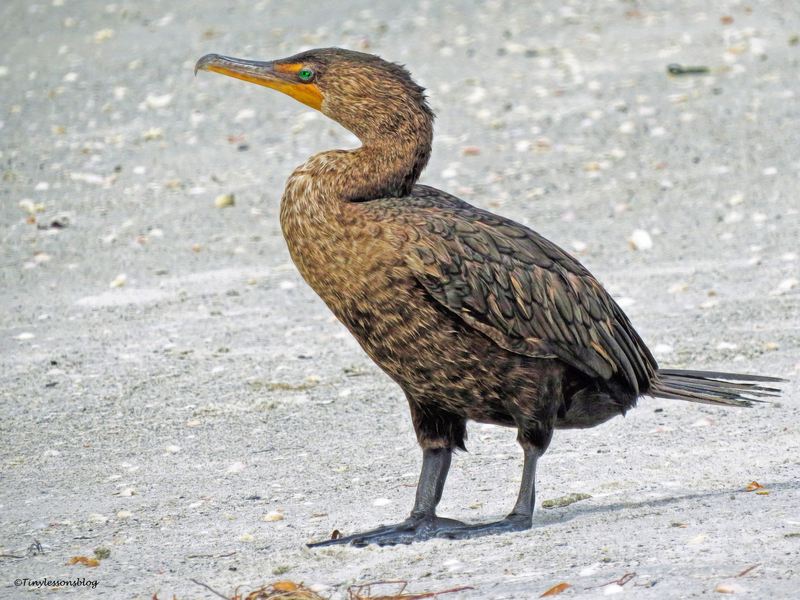 He had a straight line of sight to Sandy, who was at the nest. I observed they both seem to be “right handed” as they held the fish in their right foot talons. But they didn’t actually eat. 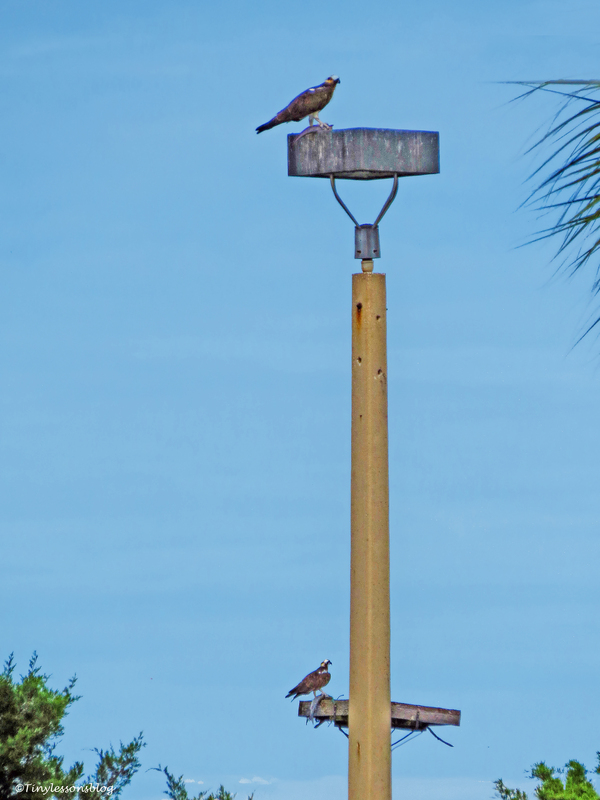 They were watching the visitor eating his fish on a lamp-post nearby. This new fellow might be a young male trying to charm “Diamond”, the young female who paid a visit to Sandy and Stanley around Christmas time. She is probably somewhere not too far from here. But if that’s the case, there’s not much hope for this suitor to get her father’s approval. Stanley was quite vocal about that. When I arrived at the salt marsh, I found it to be much like a lively little city. Lots of Wood Storks, Egrets, Herons and Ibis were mingling on and between the islets. 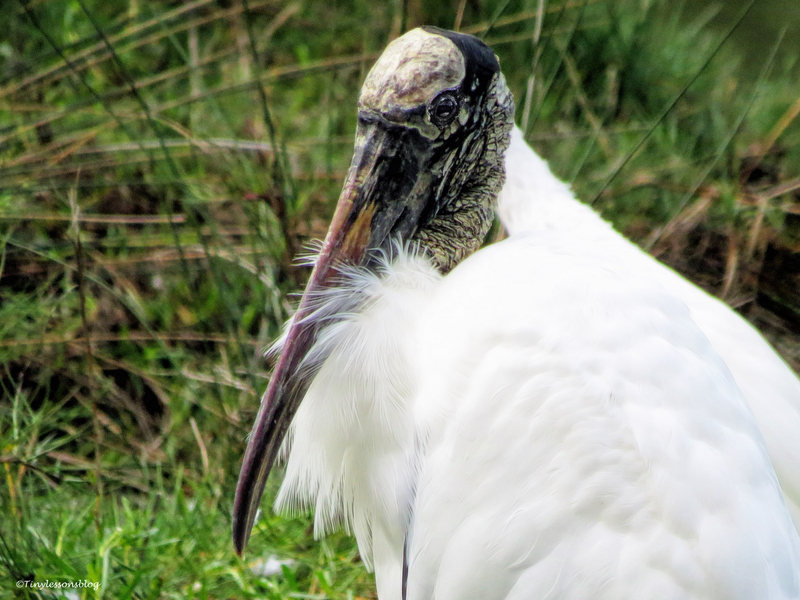 Papa Wood Stork had complete control of his clan, and everybody coexisted peacefully. I have to say the birds do this better than us humans. 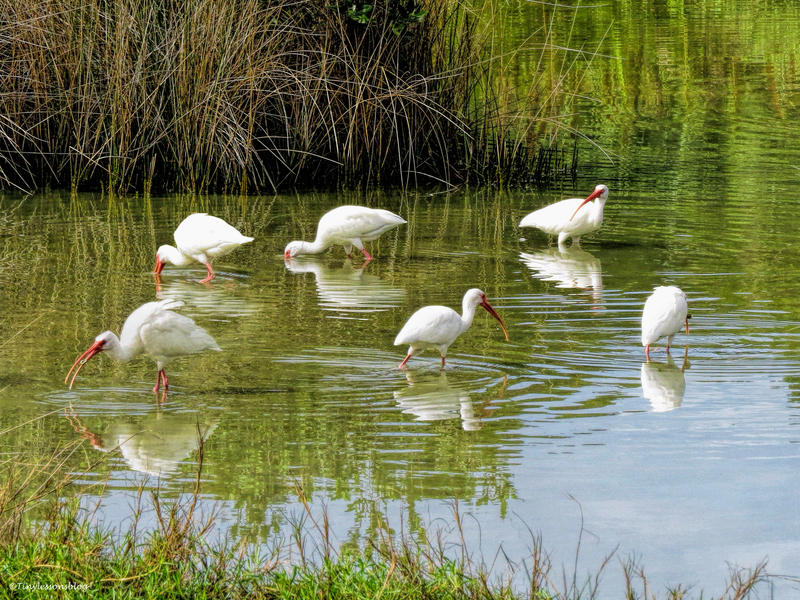 A few ibis were foraging in a neat circle in the shallow waters. Some of them circling clockwise and others counterclockwise, much like we know from human life. 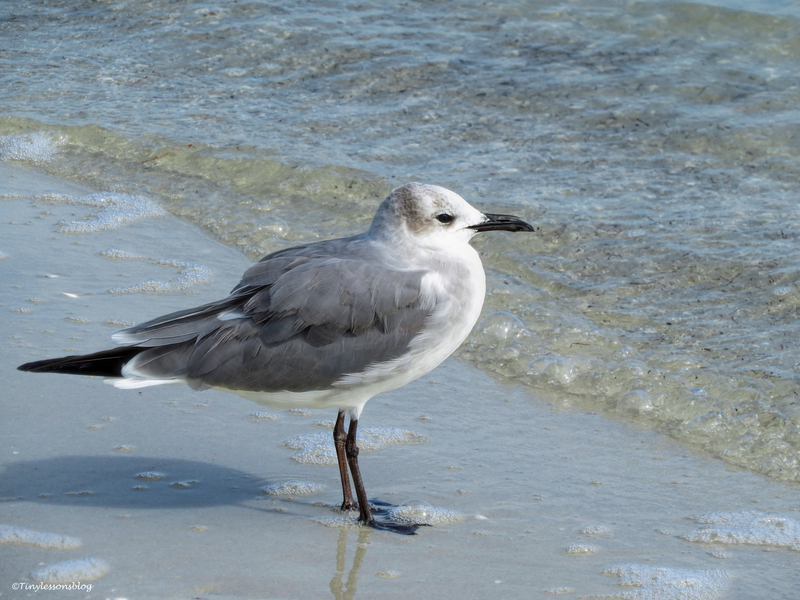 Sandy was still at the nest working on her fat fish, and the Mayor presided over the crowds from his favorite islet. The nesting season is clearly approaching. 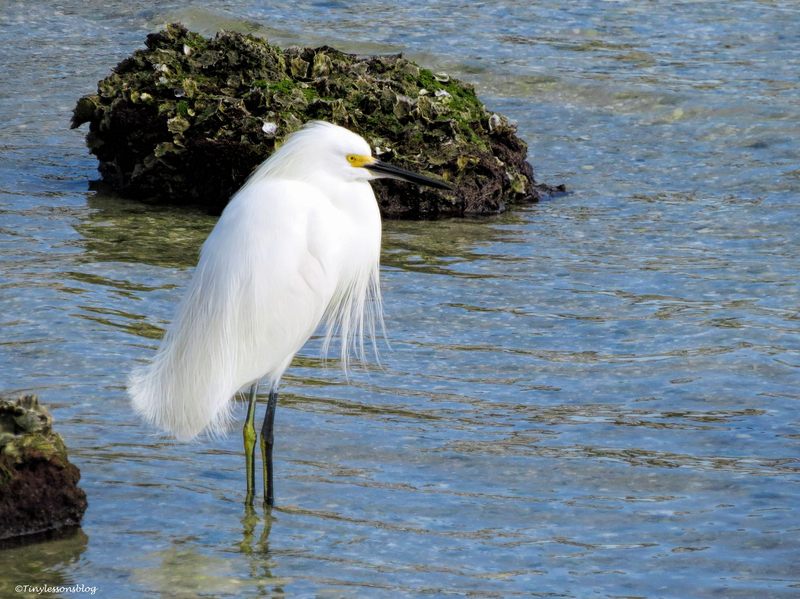 The Egrets are already growing their breeding plumage, and lots of courting was going on. The one seemingly not interested in such adult behaviors was the juvenile Black-crowned Night Heron, who was trying to hide in the grass. 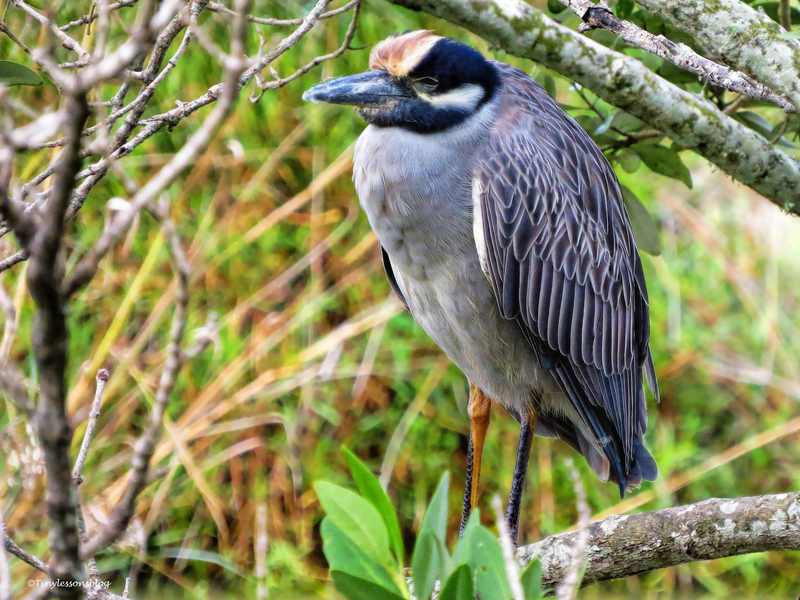 Pop Yellow-crowned Night Heron seemed uninterested as well. He had a potential partner hiding in the branches of a tree right next to him, but he was fast asleep. Or maybe he was just pretending? Peeking at her with one eye? Suddenly the Mayor decided it was time to change scenery. He flew on the other side of the marsh towards the bay. I decided to follow him to check if that beach would be equally crowded. 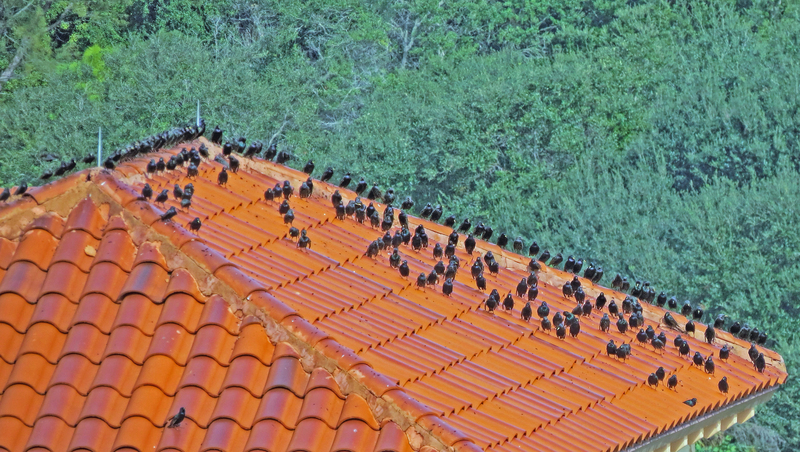 On my way I spotted the European Starlings again. They had now gathered in a huge tree close to the park entrance. 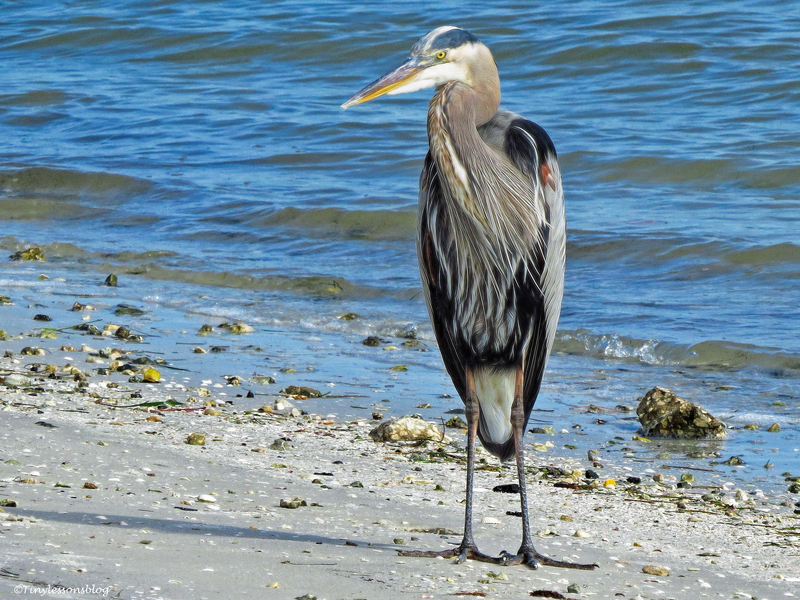 The Mayor acknowledged me with a sidelong glance as soon as I arrived to the beach on the bay side. That beach was fairly quiet. 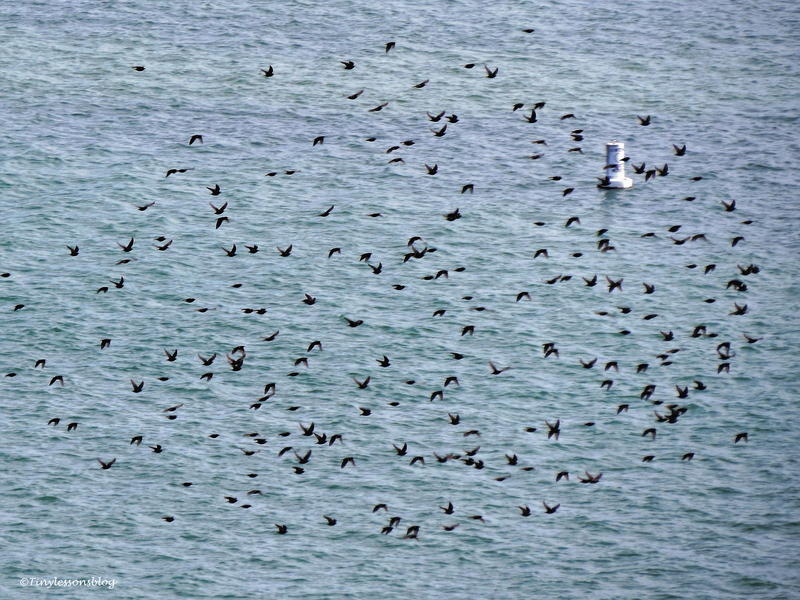 Only a Double-crested Cormorant and a few Gulls kept him company. I guess he needed some peace and quiet away from the crowds. 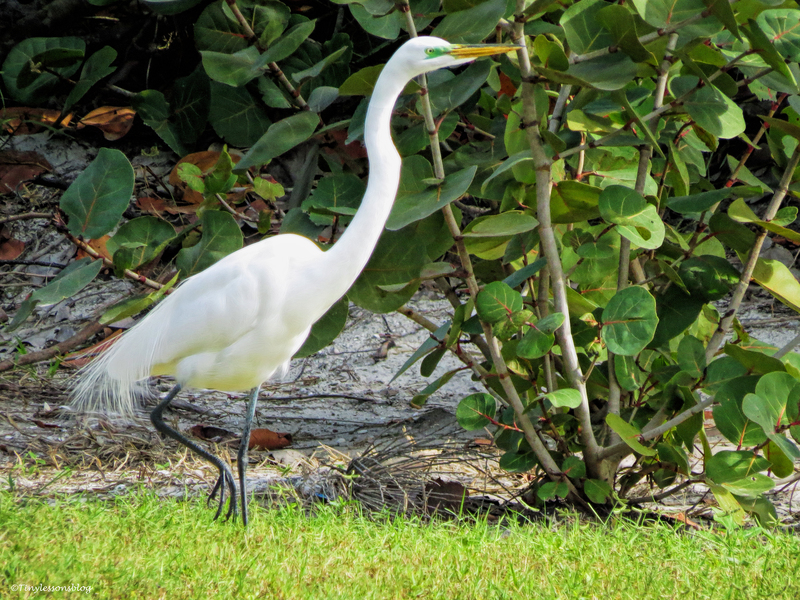 Walking home, I spotted another beautiful Snowy Egret, a few Willets, and my faithful friend, the Northern Mockingbird. 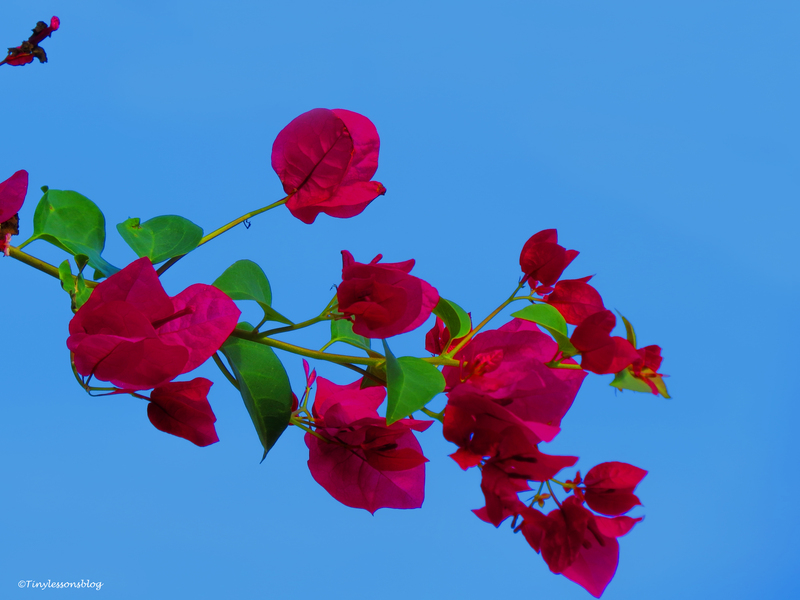 Bougainvillea blooms greeted me at the corner of our garage when I arrived home from my 3.5 mile walk. Then thinking I would repeat the walk the next day again. But it was not to be. Unfortunately it may take another week or more before I get to see my feathery friends again. I have some travels coming up starting tomorrow morning. I hope your year is off to a good start, and thank you for coming along. You can find many other circles here. Previous PostA Journey into the First Night. On My Terrace.Next PostMysteries in the Fog. Big Guns. And Other Adventures on Amelia Island. 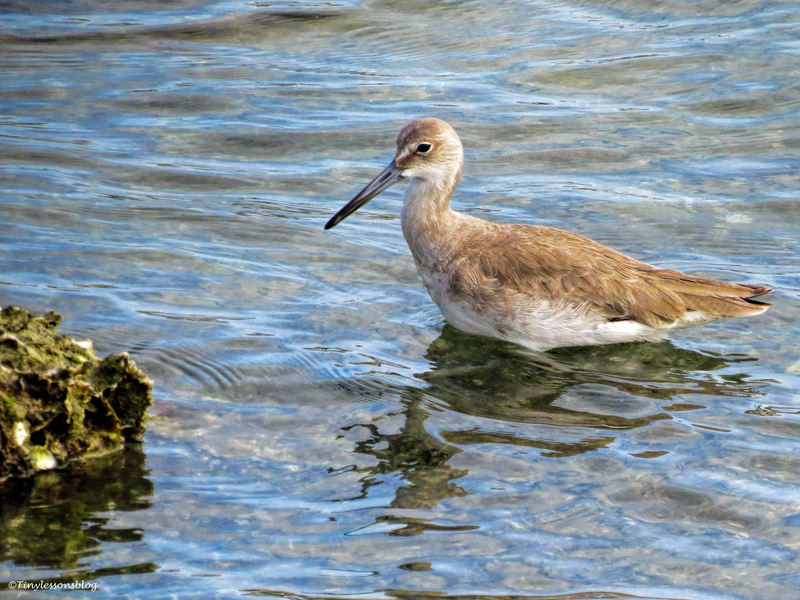 Very nice shots of the salt marsh denizens, and there are so many different ones this time. Thoroughly enjoyable. Thanks Hien! Happy you enjoyed the crowded marsh. May your travels be safe and entertaining. what a fascinating ecosystem & excellent shots. 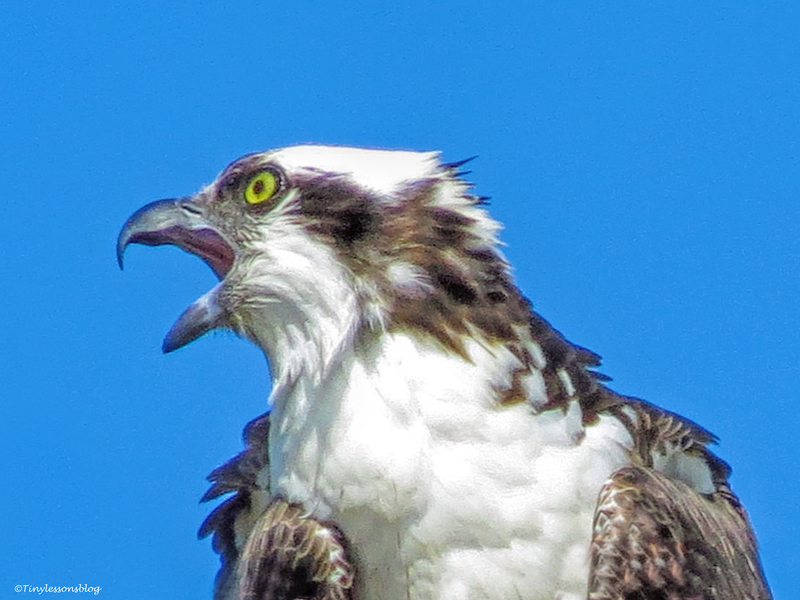 love the head shot of the osprey! It is a fascinating ecosystem with three different bodies of water, and a varied set of vegetation in the park. So many birds are attracted to it. You are familiar with so many of the individual birds, I just wonder what they see/think/feel when you are there on a continuous basis. I certainly enjoy this from YOUR perspective! 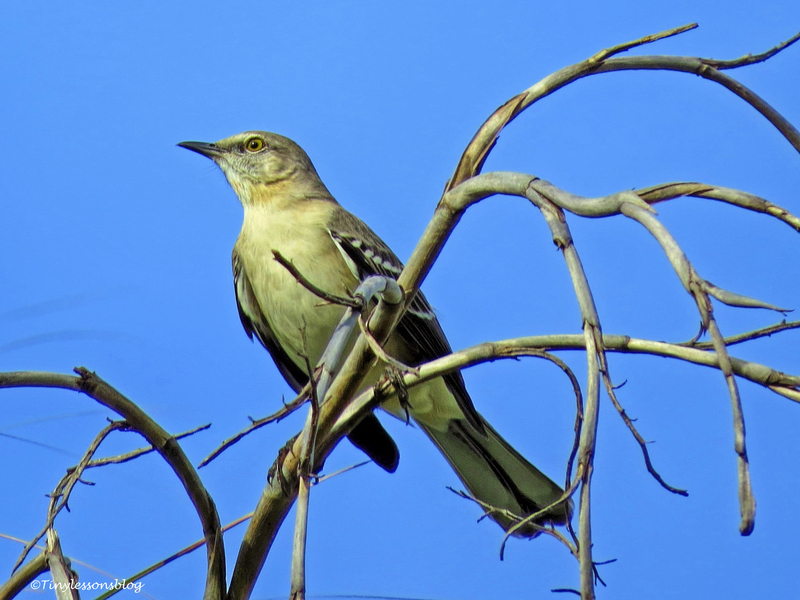 By the way, I still feel rather partial to your images of the mockingbird. Have a very safe trip, Tiny! Oh, I wonder about that too. I think a few of them have gotten so used to me that I can get very close and they still don’t move. I’d love to have their perspective…but it’s not so easy to obtain 🙂 Have a great weekend, Cyndi. You got some great shots there Helen! Everyone is looking good. 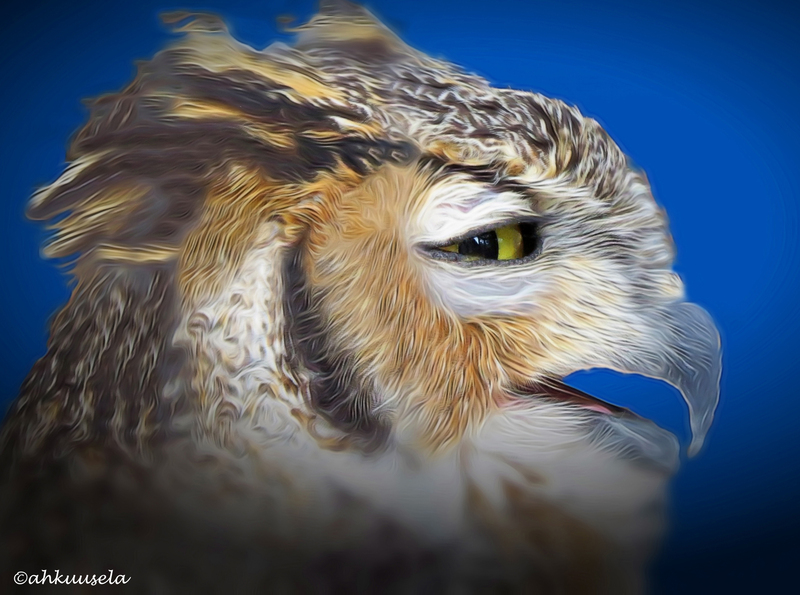 Thank you for the update on nature’s intrigue and philandering! That group ibis photo really resonates. I think it’s a beautiful composition. Everyone is looking good, and the romance is in the air, clearly 🙂 The Ibis were there in huge numbers and were quite entertaining to watch. 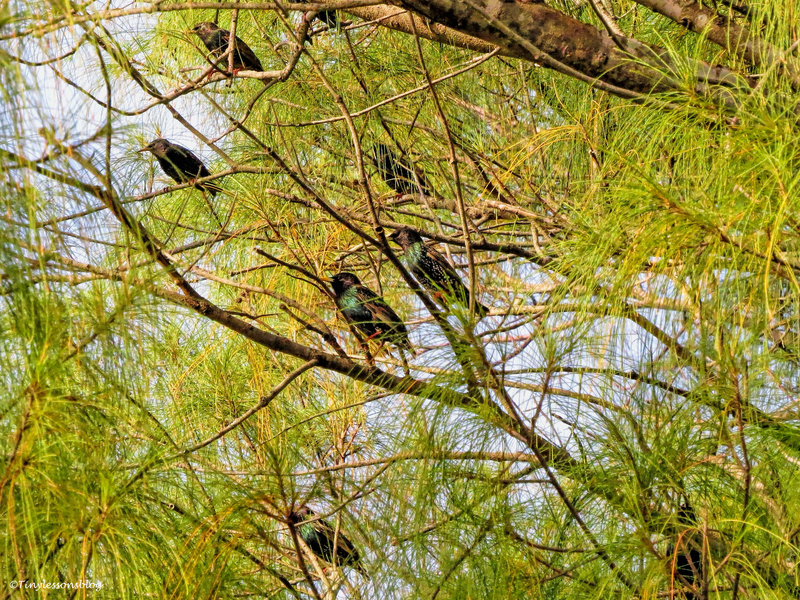 I usually don’t “shoot” wide angle pictures to show the crowd because one can only see white dots, or black in case of the Starlings, in the green. Have a great weekend, Val. Fantastic series of photos Tiny! 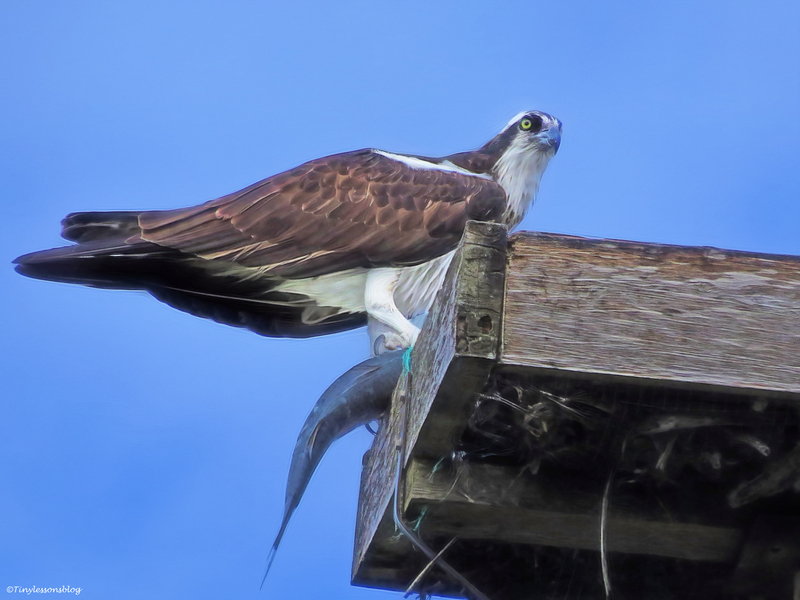 The osprey photos are wonderful, espec. 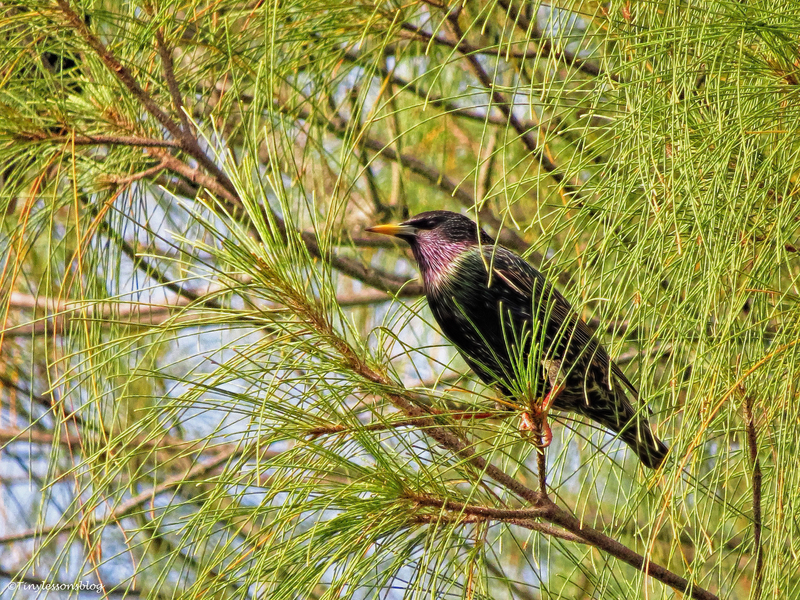 the close-up with the fish; great to see the huge flock of Starlings and the close-ups too with the shimmering colors. 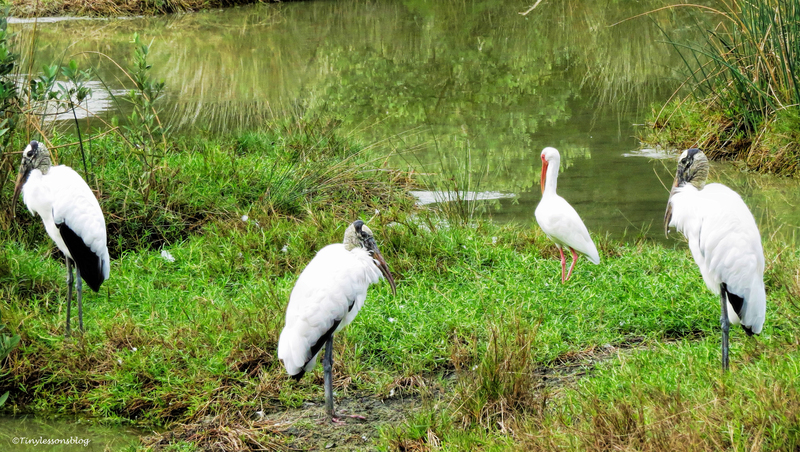 Egrets in breeding plumage, ahhh, and I loved seeing the ibis fishing in a circle. Thanks so much — and happy travels to you! Thanks for your visit and kind comments, Jet. I’m happy you enjoyed the ‘crowd’ at the marsh. 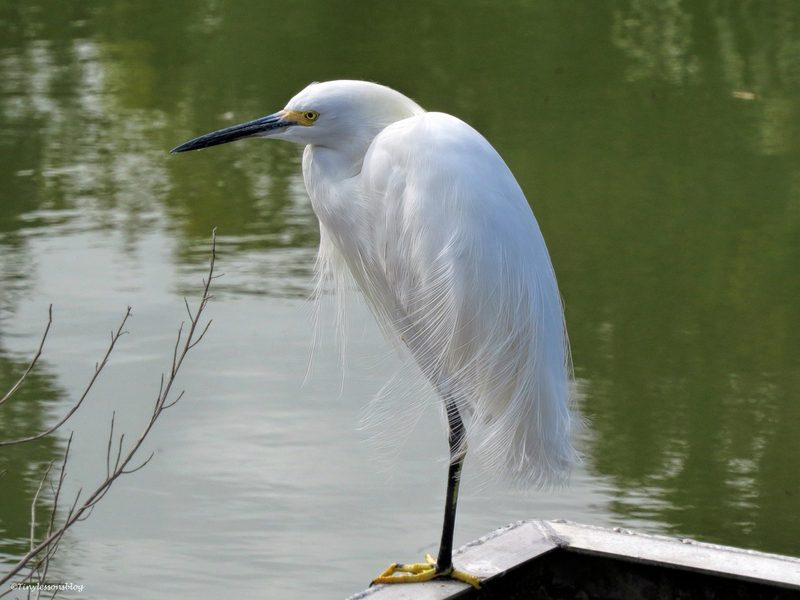 The Egrets are very beautiful right now, and I wonder how they are able to keep themselves spotless, bright white despite eating in the muddy waters 🙂 Have a great weekend! So many beautiful birds and even more beautiful shots! Thanks Mandy! Have a wonderful weekend! Beautiful captures and a wonderful variety! Awesome close-ups too! Safe travels! Happy you enjoyed the exceptionally large variety of birds at the marsh! Have a great weekend. The bird photos are beautiful. Your year literally did get off to a magnificent flying start! May the rest of the days in 2016 be as soaring…. Thank you Mary. I wish you the same. Your voice is certainly always soaring! Gorgeous shots!! You are so blessed thanks for sharing! Yes, very blessed indeed. Thank you for your kind comment and have a great weekend! Your photos are a breath of fresh air Helen and when you take us on your walks too. Don’t work too hard! I know what you mean 😊! Thank you Maverick! I wish you a great weekend. Yesterday, we had 4 spoonbills around the lagoon, along with woodstorks, ibis, white pelicans, egrets, herons, cormorants, and anhingas. And all of them seemed to be getting along . 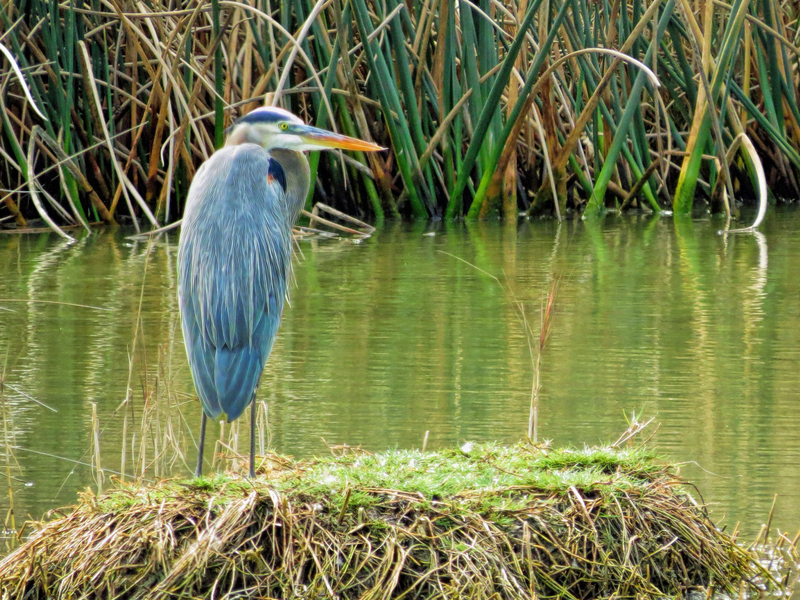 . . although the great blue herons are a bit bossy. Thanks Nancy! I have looked at her pictures online and they are really VERY good! And I looked at her books too and see a struggle to publish reasonably priced photo books, exactly what I have been experiencing. I hope the exhibition will give her work more exposure. Enjoy spreading your wings a bit. 🙂 We will miss the ‘ marshlings’. You wind such an imaginative narrative round your excellent photographs, it makes for riveting reading. Happy you enjoyed, Susan! Have a beautiful weekend. Wow. What a great day! Great shots and amusing anecdotes. Thanks Frank, that was a great outing. I hope the visitors stay for a while. Every single shot a beautiful image. What a rich and diverse community you have at the marsh! Thank you, we are all happy you came along for this walk! Have a beautiful weekend. I live on the Somerset Levels here in England – the former seabed and now full of reed marshes and fenland – which is renowned for its birdlife. The starling murmurations are quite incredible at this time of year, appearing almost as if supernatural phenomena. What a blessing! It was so fascinating to watch. I forgot even to fetch my camera until it was almost over. I stood there in awe:) Have a wonderful weekend, I hope you see many birds on your walks! 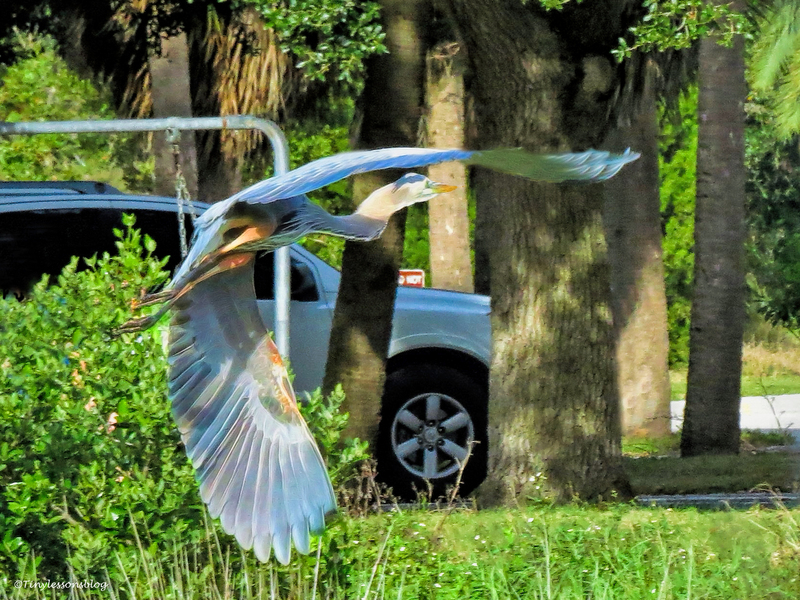 I just love seeing a Great Blue Heron taking flight. Saw this once at the marsh area just off the lake at my previous home. Took my breath away as he flew right over me. Their wingspan is truly impressive! Have a great weekend, Nancy! I do wonder what they think of you at times 🙂 I love that last picture especially, it doesn’t seem real! The residents enjoyed your visit as well! 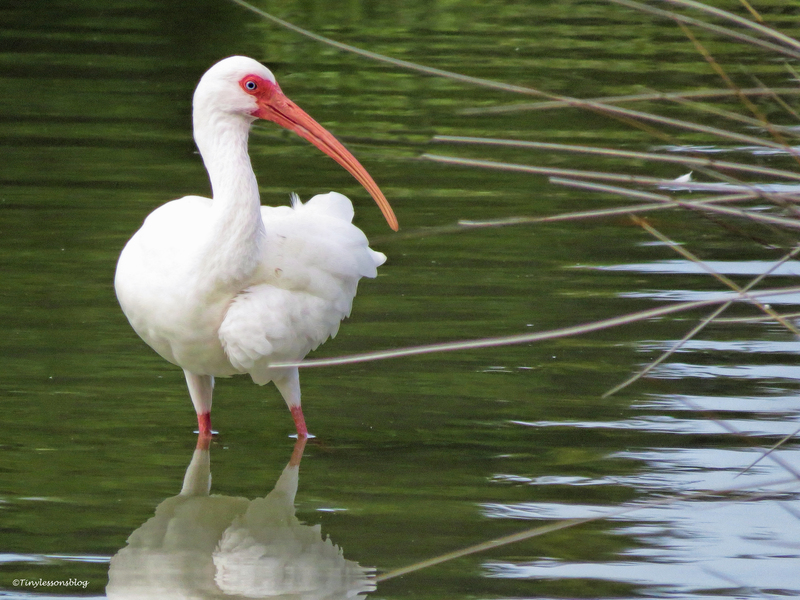 The Ibis don’t go to the water very often, but right then there must have been something really tasty in that pond. 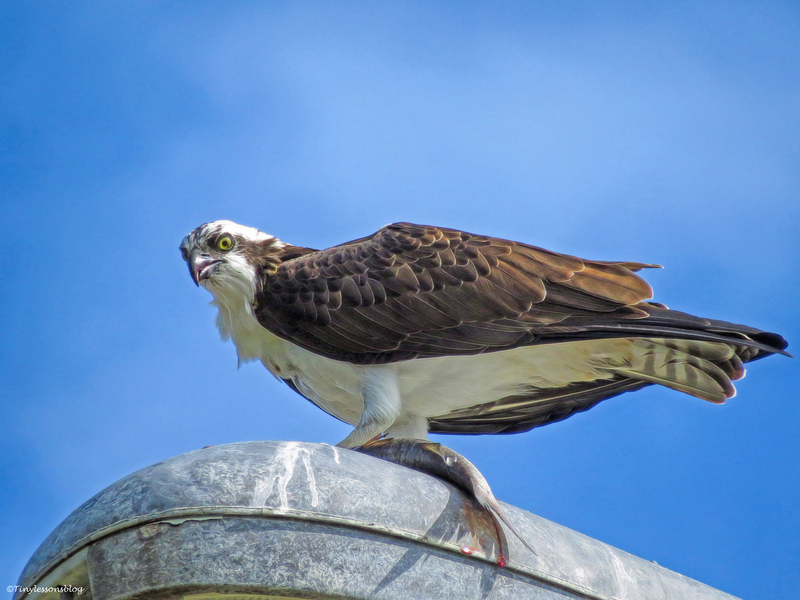 I’ve seen from my window that both Ospreys are now taking in twigs and branches…the nest renovation project is in full swing. Have a wonderful weekend, Sylvia! I would find it very hard to leave a morning walk like that, even for a few days. I do too. But since I work with clients in Europe, my morning is their afternoon. Yes, but please don’t tell. Awesome images! Have a wonderful travel and safe trip! Happy you liked the ma & pa shot. I thought it was quite funny as they sat their with their fish. I had a great trip, also fitted in an adventure day with my grandkids last Saturday 🙂 I will have to go and check on my salt marsh friends before the weekend. I’m amazed by the wonderful variety of birds that you see in the salt marshes. 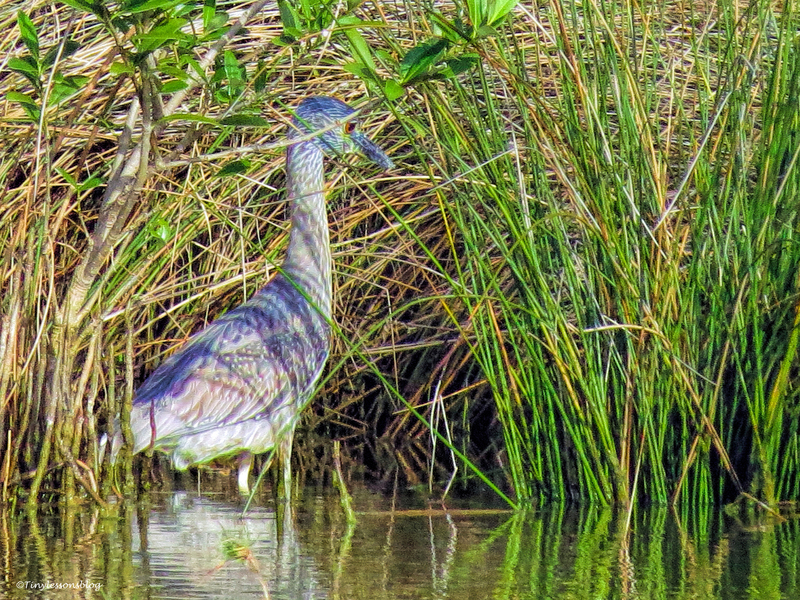 This small salt marsh is quite an attraction for birds, and has earned a spot on the official “Florida Birding Trail”. Thanks Daniela, I’m glad you enjoyed!